Lamme's never fails! My California granddaughters love this candy (as do all of us Texans!) and I send it to them for every occasion. It's so delicious. The candies came quickly. The individual boxes were in good shape and nicely sealed in plastic. I didn't eat the candies myself. I used them as prizes in a Texas-themed blog prize giveaway. One box went to each of five different winners. I've heard back from several of them, and they all really enjoyed the Texas treats. Thanks for helping make my giveaways such fun for my winners. 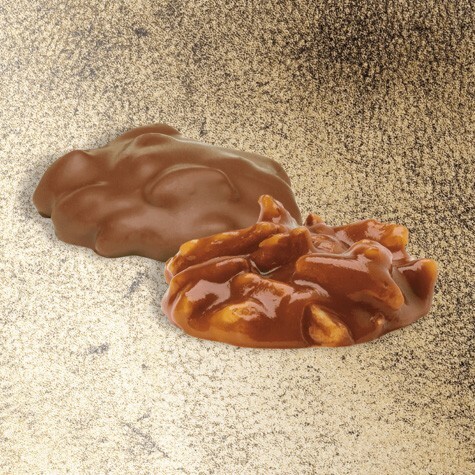 I ate the chocolate covered praline first and thought I would like it best but the caramel praline was so rich I ate it a little at a time so that I could enjoy it longer. Wow!